Job Excellence with Professional and Courteous Customer Service! Caprioni Family Septic is a family owned and operated business based in Belleplain, NJ. We are committed to providing you with prompt and professional service for all of your septic tank, pumping, and drain field needs. Complete customer satisfaction is our goal, and we work hard to provide you with the best service possible… Our customers are always our number one priority and we appreciate the chance to serve your septic needs. 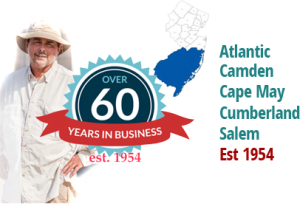 For three generations since 1954, it has been our goal to provide job excellence along with professional and courteous septic services and treatments for both residential and commercial customers throughout South Jersey. We offer a full range of commercial and residential services in South Jersey. 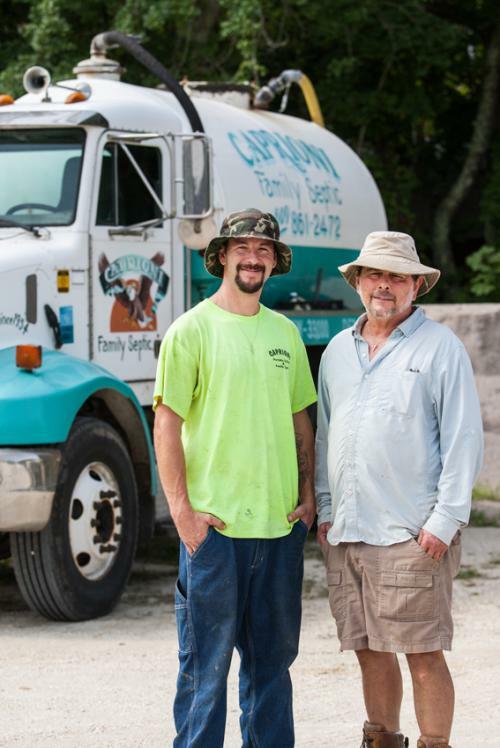 Caprioni Family Septic has been helping South Jersey residents and businesses since 1954 with their septic needs. 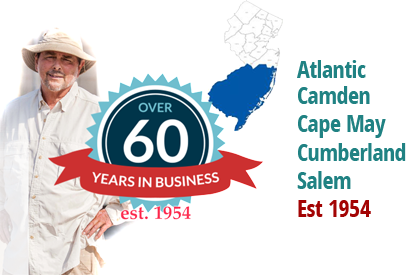 We currently service all of Cape May, Atlantic & Cumberland Counties in New Jersey. At Caprioni’s Family Septic we help you with all of your commercial and residential septic needs. We offer scheduled maintenance plans for both our residential and commercial customers. When you want reliable septic system services, let our family-owned-and-operated company show you our commitment to hard work and prompt service. When you have septic problems, you don’t have time to waste, and we dedicate ourselves to always offering prompt, efficient, and friendly service. We’re the highly experienced team of sanitation professionals you can trust to make sure your home, office, or other property is unaffected by backed-up sewage. Life sure stinks when you have septic problems. We are here, though, to thoroughly take care of all of your septic tank, pumping, and drain field needs. Leave the dirty work to us; our focus on stress-free service is the right answer for your septic problems. Complete customer satisfaction is always our number one goal, and we work hard to provide you with the best service available. Our customers are always our top priority, and we appreciate the chance to serve your septic needs. We understand that you trust us to resolve some pretty unpleasant problems, so we do our best to make sure you receive the sanitation solutions you need for absolute peace of mind. For three generations, it has been our goal to provide job excellence and courteous, professional septic treatments for both residential and commercial customers throughout the South Jersey area. If you are having septic issues or you have an upcoming need for portable toilets, don’t hesitate to reach out to us today. We sweat the stinky stuff so you don’t have to. When you need experienced septic workers and convenient toilet rentals, contact us. We proudly serve our customers in Belleplain, New Jersey, and the South Jersey area. © 2018 Caprioni Family Septic Inc., All rights reserved.